Seniors losing: G Aaron Calixte (6.6 ppg, 1.8 rpg, 70 assists), F Patrick Geha (1.0 ppg), G Christian James (14.6 ppg, 6.2 rpg, 63 assists), G Ty Lazenby (no stats), C Jamuni McNeace (4.7 ppg, 3.5 rpg), G Rashard Odomes (6.9 ppg, 2.5 rpg), G Miles Reynolds (6.7 ppg, 2.4 rpg), G Luke Stephenson (no stats). Any NBA Bound? : James probably has the most upside to NBA teams, and I could see him getting an invite to the NBA Summer League as a starting point to proving himself worthy of a roster spot in either the NBA or the G-League. Overseas teams may have interest as well. The player you don’t know about: Forward Matt Freeman hasn’t had many opportunities to shine, but with the turnover on this roster Freeman might finally have a shot to become a solid backup to Doolittle next season. Freeman played 11 minutes a game and averaged 3.2 points per game. He has the ability to stretch the floor in the half court with a capable 3-point shot, but where he really needs to grow is as a rebounder. That would juice his playing time immensely next season at a spot where the Sooners will need capable depth. Recruits already in the house: G De’Vion Harmon, 6-foot, 192 pounds, Guyer High School (Denton, Texas); C Victor Iwuakor, 6-8, 210, Sulphur Springs HS (Sulphur Spring, Texas), F Jalen Hill, 6-7, 180, Clark HS (Las Vegas, Nev.); C Corbin Merritt, 6-9, 250, Daytona State College (Daytona Beach, Fla.); G Alondes Williams, 6-5, 220, Triton HS (River Grove, Ill.). 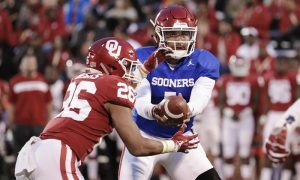 247Sports.com ranks the Sooners’ recruiting class at No. 16 and there’s good reason for the optimism. Harmon, Iwuakor, Merritt and Williams are all Top 100 national recruits. Merritt is No. 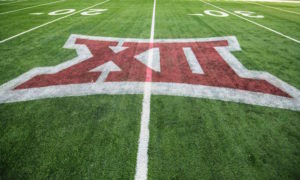 10 among juco recruits and Williams is No. 16 in the nation. 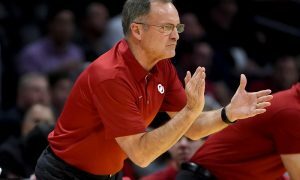 Commitments yet to sign: 247Sports.com reports that Anyang Garang, a 6-8, 195-pound forward at the NBA Global Academy in Australia, is a hard commit for the Sooners. 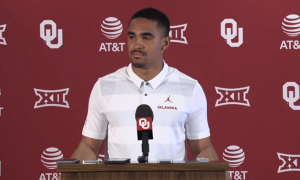 Summarizing the season: Going into the season Lon Kruger knew he needed three players to step up into the spotlight with Trae Young moving to the NBA — Christian James, Brady Manek and Jamuni McNeace. Two of them did. James was the team’s leading scorer and their most consistent performer. Manek had another solid season and his play seemed to hit an uptick once he went back to the crew cut. McNeace never panned out, but he was hurt for much of the non-conference slate and into his place swept Kristian Doolittle, who finally fulfilled two years of promise with the best season of his college career. 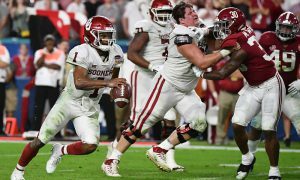 OU was on a five-game losing streak during Big 12 play and it appeared to doom then. 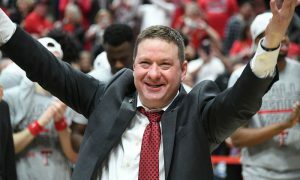 But Kruger made some tweaks, including moving freshman Jamal Bieniemy into the starting lineup, and things turned around. 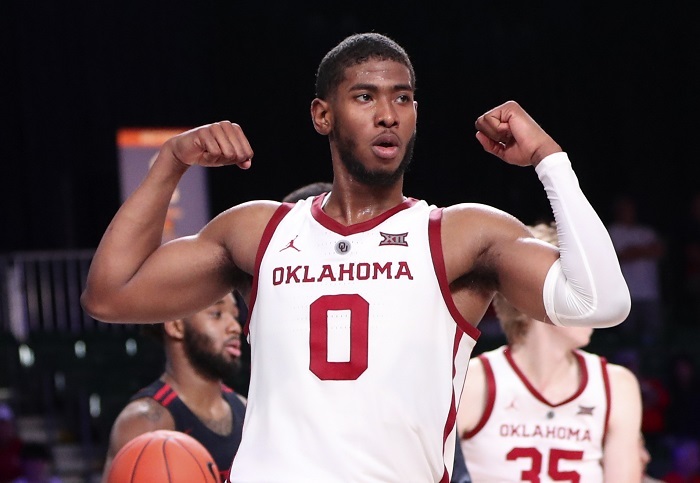 A stretch in which the Sooners won four out of five in league action, including the win over Kansas that ended the Jayhawks’ streak of regular-season league titles, sealed the Sooners as a tournament team. The win over Ole Miss validated the selection. Looking ahead to 2019-20: Transition and hope. Those are the watchwords in Soonerland. 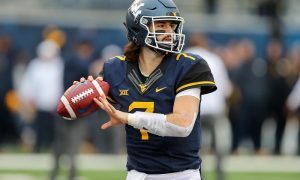 Eight players are leaving the program, and James, Odomes and McNeace were important pieces. Calixte and Reynolds were grad transfers and Kruger knew they would only be there a year. But they were necessary to get through this season and to get to this talented recruiting class Kruger has assembled. With the turnover means opportunity for at least two of these incoming players to make a contribution. But Doolittle and Bieniemy are the building blocks now. 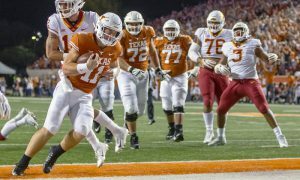 Doolittle finally emerged into the player that Kruger had been hoping he would become the past two seasons, and if he stays on that track he will be one of the best forward in the Big 12. Bieniemy changed the complexion of OU’s offense once he moved into the starting lineup and Kruger now has a capable ball-handler to build the backcourt around. Kruger and his staff will have an interesting chemistry set to work with next season, but they proved this season they’re up to the task. *Editor’s note: Since the publishing of this piece, Matt Freeman has announced his intentions to transfer from the program.